What is it like to Nagomi Visit with your partner? 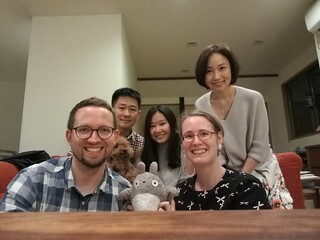 We asked Hauke and Alexandra who visited Japan for the first time from Germany and visited one of our hosts in Tokyo, a family of three with one daughter. 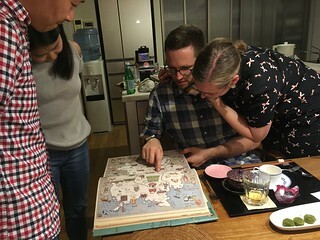 Each Nagomi Visit is unique and this is Hauke and Alexandra’s Nagomi experience. When you decided to book a Nagomi Visit how did your partner react? Were they excited as much as you? Worried? We decided together to book a Nagomi Visit (we saw it on a German TV show about traveling in Japan) and we were both very excited. We liked the idea immediately and were convinced from the concept. How long did it take for you and your partner to warm up to the host and their home? Seconds. :-) We had a really warm welcome at the train station and a nice ride to their home. 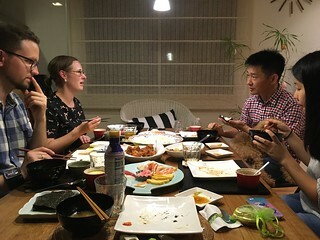 When we arrived and during the great dinner, the conversation went on very easily because we had a lot of things in common, for example similar interests in culture, movies and sports. Did you learn anything seeing and experiencing life from inside a Japanese home? Yes, we admired their smart solutions for storage and the estatic interior design. And to drink sometimes a sake before having a good meal. We also talked about the actual political situation in Japan and in Germany, and we learned a lot. Did having someone with you help foster conversation or help you notice things you may have not if you went by yourself? It was just me and my wife, and we got a long very well. One family-member of our host lived in Germany for some time in his youth, that made it very easy to get connected. Was participating in a Nagomi Visit different from other travel activities with your partner. Was it more relaxing since you are in a home with someone? Or did it make you nervous? 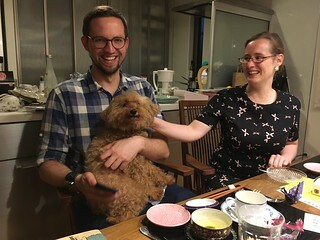 It was very relaxing in their home and we got a very good impression of the Japanese home-culture. It was a unique experience, to meet people in their home and not just doing touristic activities like sightseeing. It's important to us, trying to meet locals while we are traveling, to get an impression of their life and culture. Was there anything you thought differently about Japan after going on the Nagomi Visit? Do you have any advice for future Nagomi Visitors? Yes, try to find a date at weekends. It seems to be easier because we tried to find Nagomi Visits in Kanazawa and Kyoto during the week, but there were no offers. In Tokyo we had one offer during the week but more for the weekend. Ready to go on a Nagomi Visit? Start booking here. Need tips or advice? Read 10 Ways to Enjoy a Nagomi Visit or ask the Nagomi Visit Team!